It’s been well established that I’m a bit of a geek. Picture the ruggedly handsome Malcolm Reynolds (Nathan Fillion). Are you picturing him? Okay, now picture the exact opposite. Yep, that’s me! 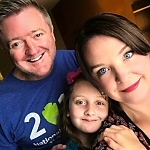 One of the fun things about writing a daddy blog is I can write about whatever pops into this head of mine. Often it’s thoughtful pieces on miscarriage or breastfeeding… and then there are posts like this. Please Click Image to Pin It! Have I convinced you I’m a geek now? 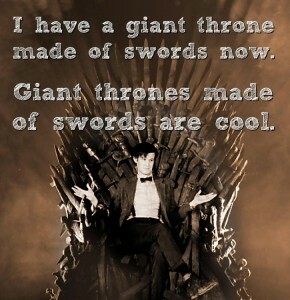 If you don’t understand the humor in this graphic it means you’re either not a fan of the eleventh Doctor, and/or not a fan of Throne of Swords. Like this? Pin it!